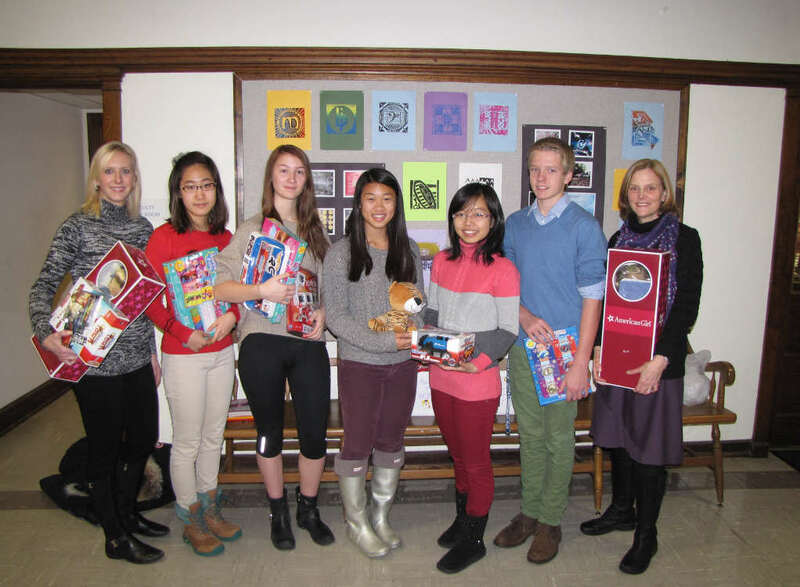 (left to right) Cassi Gerdsen, Director of Campus Photography, is joined by Blair Academy students Emily Choi, Alecia Mund, Emily Wan, Trang Duong, Christopher Berry-Toon, and Kaye Evans, Coordinator of Community Service. Faculty, staff and students at Blair Academy in Blairstown have banded together to support the Season of Hope toy drive, a community-wide effort which aims to gather 10,000 new and unwrapped items for children of all ages. The gifts will be distributed to families in Sussex and Northern Warren Counties this month. Toys can be dropped off at Project Self-Sufficiency, 127 Mill Street, in Newton, or at any drop-off site located throughout the area. Toys for Sussex County children of all ages are needed for the Season of Hope holiday toy drive, which is a joint effort by Project Self-Sufficiency, Pass it Along, the New Jersey Herald, Clear Channel Radio, Mugs Media, Sussex Honda and Intercar Mercedes Benz. In addition to new and unwrapped toys, the donation of gift cards, wrapping paper, gift bags, gift boxes and stocking stuffers are always appreciated. “We have worked worked with Project Self-Sufficiency for many years, and the students have always responded very enthusiastically. We like our students to get out and give back to the community,” added Kaye Evans, Coordinator of Community Service at Blair Academy. Gift items can be dropped off at Project Self-Sufficiency, which is located at 127 Mill Street in Newton, Monday – Thursday, from 9:00 a.m. – 8:00 p.m., Friday, 9:00 a.m. – 4:00 p.m.; additional drop-off sites are located throughout the area. Donations are requested by December 16th in order to allow ample time for the items to be distributed to needy families. For information about the Season of Hope Holiday Toy Drive, call Project Self-Sufficiency at 973-940-3500 or visit www.projectselfsufficiency.org.